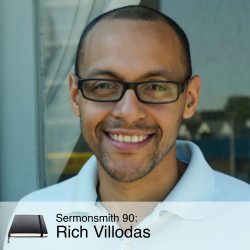 Rich Villodas is the Lead Pastor at New Life Fellowship Church. On October 6th, 2013, Rich succeeded Pete Scazzero as Lead Pastor. Rich was born and raised in the East New York section of Brooklyn. He graduated from Nyack College and then went on to obtain a Masters of Divinity degree at Alliance Theological Seminary. When Rich is not reading, he is cheering on his beloved Mets, Knicks, NY Rangers and Jets teams. Rich is married to Rosie and they have a little girl and boy, named Karis and Nathan.